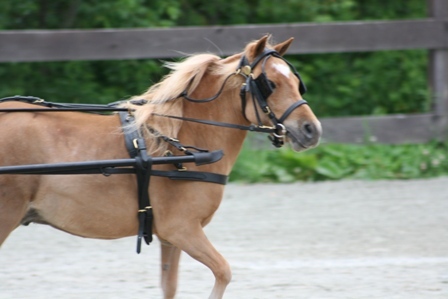 Our hats go off to all the miniature equine drivers! We know how important your driving equipment is to you and we imagine how important this equipment is to your mini. Safety is always first. Our attention to the strength and quality of each part of the driving harness will assure you that your investment will be a valuable part of your driving equipment. Our emphasis is also on the driving harness fit. A proper fitting driving harness is paramount to the performance and comfort of your 'mini horse power'. Mini HorseFeathers has worked to find excellent value and quality to provide you with a source for all your driving needs.